Single print head inkjet coder with separate 5 inch touch screen LCD controller for maximum flexibility in installation and operation. An all metal construction assures maximum durability and stability. Device Database Support RS-232, Ethernet. Dimensions (H*W*D): Controller 151*93*32mm / Print Head 175*52*33mm. 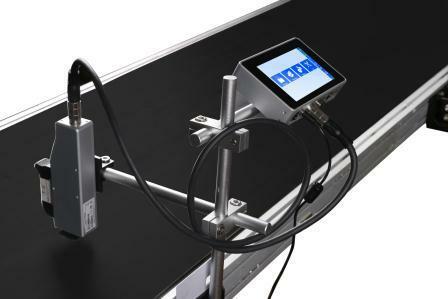 3) Automatic measuring system for the usage of the ink.